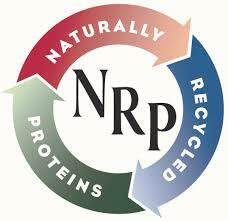 ​NRP is a company specializing a highly digestible dry protein additive to be used in the pet food industry. The company implements a non-rendered, patented, natural enzymatic system to process various proteins into a value added ingredient for a number of pet food companies. The key ingredient is utilized as a chicken and egg flavor additive into final pet food product formulations found in retailers nationwide.